A few leaves have already started falling here in Kentucky! 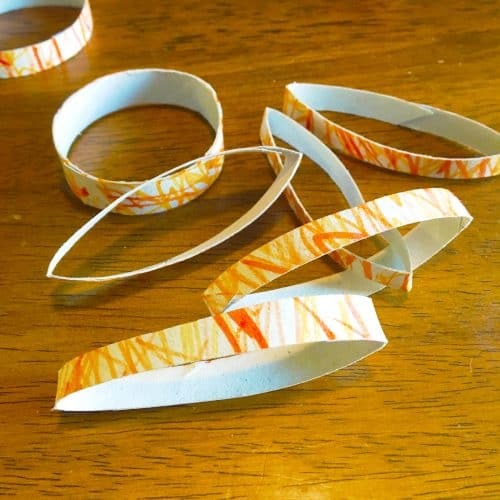 So I thought it was time to start coming up with some fun new fall crafts! 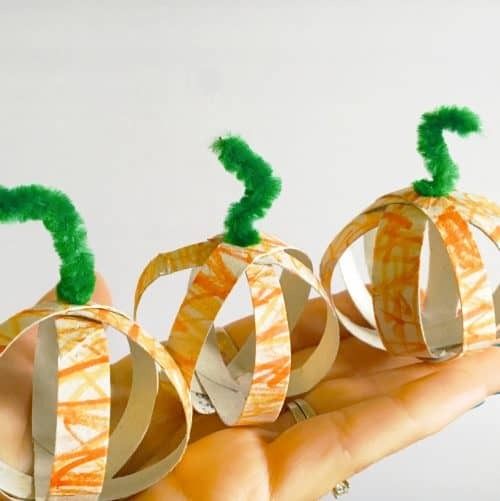 These toilet paper tube pumpkins are a fun little activity. 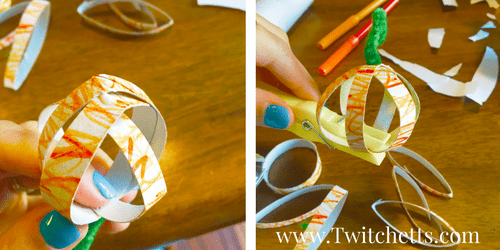 You can do them with your toddler or let your older kids create on their own! Add them to a wreath, hang them as garland, or just place them around your house to add a little fall decor. 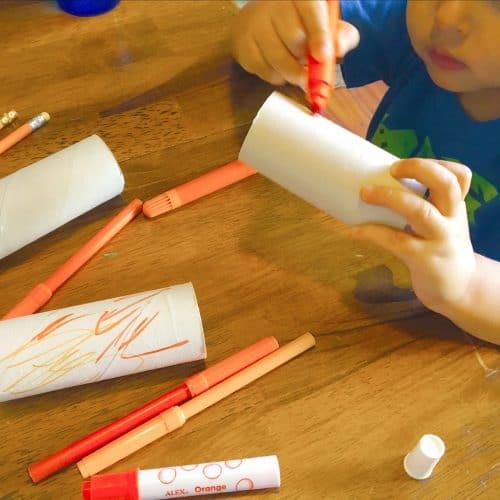 Our favorite crafts are the ones that you probably have all of the supplies for around your house! Toilet paper tube. One tube will make about 3 pumpkins. Safety Pin. Or something to poke a hole. 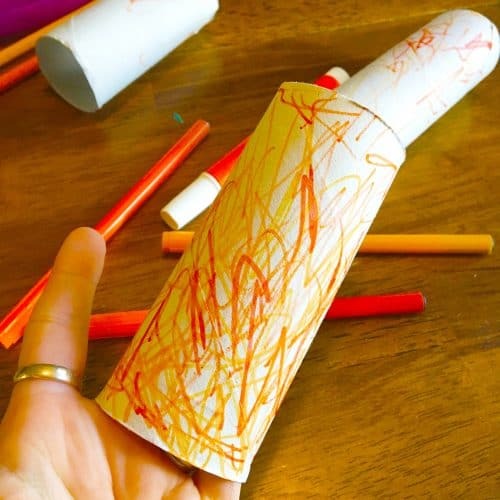 Start by coloring your toilet paper tube orange. I found as many different orange markers as I could find. Since I was letting V do this part I told her to just draw all over them! You could make them solid orange, but for a 3-year-old this was more practical. Plus I like the way it turned out! Then cut your tub into rings. You can make them as thick or thin as you would like. You should easily get 3 pumpkins from each roll. Next take your safety pin and poke a hole through each of your rings. Feed your pipe cleaner through the holes. I made a couple with 3 rings and one with 4. Then fold over to secure. 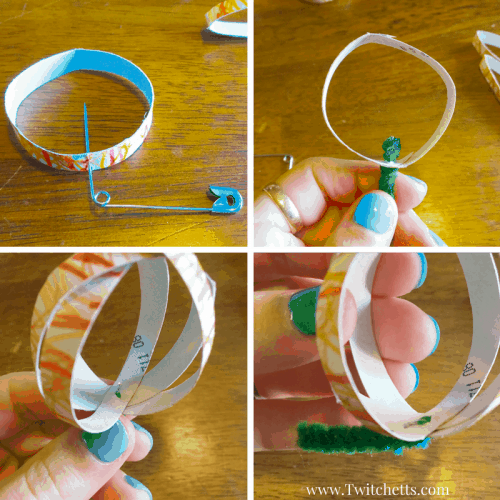 Fan out your rings to make a sphere shape. Then add a dab of glue between each ring and secure with a clothes pin or pinch until stuck. Then allow them to dry. The perfect little addition to your fall decor! 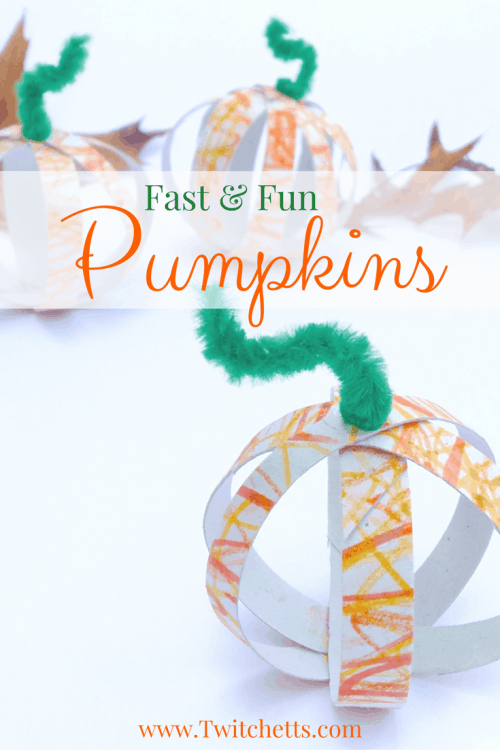 Check out more fun fall crafts and activities here! Just think of what you could make with these if you use other colors! !